Nicotine uptake during smoking was estimated by either analyzing the metabolites of nicotine in various body fluids or by analyzing filters from smoked cigarettes. However, no comparison of the filter analysis method with body fluid analysis methods has been published. Correlate nicotine uptake estimates between filter analysis, salivary cotinine, and urinary excretion of selected nicotine metabolites to determine the suitability of these methods in estimating nicotine absorption in smokers of filtered cigarettes. A 5-day clinical study was conducted with 74 smokers who smoked 1–19 mg Federal Trade Commission tar cigarettes, using their own brands ad libitum. Filters were analyzed to estimate the daily mouth exposure of nicotine. Twenty-four-hour urine samples were collected and analyzed for nicotine, cotinine, and 3′-hydroxycotinine plus their glucuronide conjugates. Saliva samples were collected daily for cotinine analysis. Each method correlated significantly (p < 0.01) with the other two. The best correlation was between the mouth exposure of nicotine, as estimated by filter analysis, and urinary nicotine plus metabolites. Multiple regression analysis implies that saliva cotinine and urinary output are dependent on nicotine mouth exposure for multiple days. Creatinine normalization of the urinary metabolites degrades the correlation with mouth exposure. The filter analysis method was shown to correlate with more traditional methods of estimating nicotine uptake. However, because filter analysis is less complicated and intrusive, subjects can collect samples easily and unsupervised. This should enable improvements in study compliance and future study designs. F. K. St.Charles and G. R. Krautter were formerly with Brown & Williamson Tobacco Company, Macon, GA 31202, USA. A number of studies were published over the last 30 years that attempted to determine the amount of tar and/or nicotine that smokers receive from their cigarettes (reviewed in Stephen et al. 1989; Pritchard and Robinson 1996; Scherer 1999). The methodology used falls into three broad categories: (1) the analysis of biomarkers in human body fluids or expired breath; (2) the measurement of smoking behavior (puff volume, duration, and frequency) followed by a smoking machine set to duplicate human puffing conditions; and (3) the analysis of spent cigarette filters and the calculation of smoke yields from the filter efficiency. Typically, biomarker measurements in blood/plasma and smoking behavior measurements require that sampling or measurements be made in a laboratory environment. There is a possibility that smoking behavior becomes atypical in this type of environment (Comer and Creighton 1978; Ossip-Klein et al. 1983). Urine, saliva, and spent cigarette filters can be collected in a smoker’s everyday environment. The analysis of 24-h urine samples for nicotine and major metabolites can provide quantitative data regarding uptake of smoke constituents as the product is used in a smoker’s everyday environment (see Byrd et al. 1998 and references therein for examples). Subject compliance can be an issue when trying to determine actual cigarette yields because in an unmonitored environment the subject must be relied upon to smoke only a given brand, not use any other nicotine-containing products, provide an exact accounting of every cigarette smoked during the collection period, and collect all urinary output. The filter analysis method is one of the least invasive of the methods mentioned above. The smokers can use their product in their normal environment and the only deviation from normal behavior is to save the filters. Compliance is not an issue when trying to determine the subject’s cigarette yield because the filters from the actual cigarettes smoked are analyzed. In most cases, the returned filter can be compared to those of the subject’s stated brand to assure brand compliance. The primary issue with this method has been that smoking behavior can produce changes in the filtration efficiency of the filter. The filtration efficiency can vary according to the velocity of the smoke passing through the filter and, to some extent, the length of the tobacco rod smoked (Overton 1973; Dwyer and Abel 1986; Norman et al. 1984). The method used for this study was developed to minimize the effects of smoking behavior on filter efficiency by measuring only the portion of the filter downstream of the ventilation holes (i.e., the mouth end) (St.Charles 2001; Shepperd et al. 2006). This results in relatively constant filtration efficiency over a wide range of smoking behavior. The objective of this study was to compare the nicotine yield of human-smoked cigarettes (mouth exposure) as measured by the filter analysis method and human smoke uptake as measured by biomonitoring under strictly controlled conditions. The biomonitoring measurements included salivary cotinine and 24-h urinary nicotine, cotinine, 3′-hydroxycotinine (3-HC), and their respective glucuronide conjugates. With a good correlation between the methods, future studies on smoker exposure can use the simpler filter analysis method rather than resorting to human biomonitoring techniques. The clinical portion of this study was conducted by an independent contract research organization in 2003 (Covance Clinical Research Unit, Madison, WI, USA). The analysis of salivary cotinine and urinary nicotine metabolites was performed at Covance Laboratories (Harrogate, North Yorkshire, UK). Filter analysis was performed by the study sponsor (Research and Development, Brown & Williamson Tobacco Company, Macon, GA, USA). The study was approved by Covance’s Institutional Review Board and performed in accordance with applicable federal regulations. Subjects who participated in the study gave their informed consent, were told of the purpose of the study, and could withdraw at any time. Habitual smokers were recruited by Covance. Enrollment criteria included males or nonpregnant, nonlactating females, between 21 and 65 years of age, within −20% to +30% of their ideal body weight, who smoked at least 15 cigarettes a day of the same cigarette brand during the previous year. Subjects were excluded if they were under 21 years of age, were pregnant or lactating, participated in any other clinical study within 30 days before study entry, had a history or showed signs of a significant medical or psychiatric condition, used prescription medications within 14 days before study entry, had a history of alcoholism or drug addiction within a year of study entry, or used alcohol or any nonprescription preparations within 72 h of study entry. A few subjects deviated from the enrollment criteria: underweight (1), overweight (5), medication or alcohol usage before study entry (4), low cigarette consumption (2), shortened brand loyalty duration (4), elevated clinical chemistry (2), abdominal/hernia surgery (7), and positive drug screen before study entry (2). Because these deviations were considered minor and not expected to interfere with the study objectives, the subjects were allowed to participate in the study. Subjects were assigned into one of four tar yield groups, which span the range of Federal Trade Commission (FTC) tar yields found in commercially available USA filtered cigarettes: 1–3 mg (ULL or ultralights/low), 5–6 mg (ULH or ultralights/high), 9–12 mg (LTS or lights), and 13–19 mg (FF or full flavor). The purpose was to cover a wide range of human nicotine exposure to allow robust correlations between the methodologies. The goal was to enroll 20 smokers per group; however, even with additional recruitment attempts, only 15 smokers enrolled in the ULL group (market share <2%). One subject in the FF group withdrew from the study due to illness. Table 1 summarizes the subjects’ demographics and their respective brand characteristics by tar band. Height, weight, and age are shown as the mean (range). Cigarette yields are shown as the mean (SD) for the FTC smoking method. Subjects were confined to the clinic for six calendar days to give five consecutive 24-h periods. Nine confinement periods were staggered and limited to ten subjects or less (generally of the same tar range group). During confinement period number 8, one LTS smoker and two FF smokers were allowed to participate with six ULL smokers to complete the LTS and FF cells. Subjects were fed a standardized bulk diet that excluded grilled, smoked, or barbecued food items. Consumption of water and other nonalcoholic beverages was unrestricted. Subjects refrained from strenuous exercise. During confinement, subjects smoked their usual cigarette brand ad libitum in a dedicated smoking room equipped with ventilation and air filtration. Use of any form of nicotine other than the subject’s declared own brand was prohibited. Cigarettes were purchased locally. Twenty-four-hour urine samples were collected from each subject for five consecutive days. Collections started at approximately 0800 hours (first void excluded) and ended at approximately 0800 hours the following day (first void included). Urine was collected in 3-l amber plastic containers and kept refrigerated throughout the collection period. No chemical preservatives were used. After each 24-h sample collection, volume and pH measurements were recorded, a sample was taken for creatinine analysis, and 2 × 5-ml and 4 × 500-ml aliquots were taken and stored frozen at −70°C until shipped. Aliquots were shipped under dry ice to the analytical laboratory and stored at −70°C until analysis. Urinary nicotine, nicotine-N-β-glucuronide, cotinine, cotinine-N-β-glucuronide, trans-3′-hydroxycotinine, and trans-3′-hydroxycotinine-O-β-glucuronide were analyzed using solid phase extraction (SPE) and liquid chromatography with tandem mass spectrometric detection using a method developed and validated at the analytical laboratory (Analytical Procedure Covance no. 2002-010). Nicotine-d3, cotinine-d3 (Sigma-Aldrich, Poole, UK), and trans-3′-hydroxycotinine-d3 (Toronto Research Chemicals, North York, ON, Canada) were used as internal standards. Nicotine, cotinine (Sigma-Aldrich), trans-3′-hydroxycotinine, and the three corresponding glucuronides (Toronto Research Chemicals) were used as reference standards. Samples were incubated for 18–22 h at 37°C with β-glucuronidase, which enzymatically deconjugated the aglycones from their respective glucuronides. The free and cleaved aglycones and their respective deuterated internal standards were then extracted and analyzed. Saliva samples were collected in sterile Salivette tubes (Sarstedt, Newton, NC, USA) from each subject for five consecutive days at approximately 1830 hours. On day 4, two additional saliva samples were collected at approximately 0830 and 1330 hours. Clinical staff supervised and timed the process to assure compliance. Collected saliva samples were immediately stored at −20°C, shipped under dry ice to the analytical laboratory, and stored at −20°C until analysis. Salivary cotinine was analyzed by a method developed and validated at the analytical laboratory (Analytical Procedure Covance no. HB-02-061) based on a previously reported method (Bentley et al. 1999). To control cigarette brand accessibility and document cigarette consumption, cigarettes were issued by clinical staff individually. The used filter had to be returned before a subject received their next cigarette. Used filters were processed under the supervision of clinical staff by having the subject remove any tobacco particles from the used filter before depositing it in an individually labeled glass container. Used filters were collected for five consecutive days with each day starting/ending at the same time as urine samples. The filters generated daily by each subject were shipped by overnight carrier at ambient temperature to the analytical laboratory. Immediately upon receipt, a 10.0-mm portion of the mouth end (tip) was cut from the filter using a specially designed jig, which kept the cut-length constant and kept a single edge razor blade perpendicular to the filter. Tip-to-tip length variation using the jig was within 3%. The tips were stored in labeled 30-ml glass jars with Teflon-lined lids at −20°C until analyzed. Nicotine yields from the human-smoked cigarettes were estimated by analyzing the tips for nicotine. Five separate machine smoking regimes were used to provide calibration curves for the filter tips of each brand style tested. Cigarettes from the same batches that the subjects smoked were used for calibration smoking. The smoking regimes were chosen to give a wide range of cigarette yields of approximately equal spacing. Table 2 shows the calibration puffing conditions for each tar band. These machine puffing regimes proved to cover the spread of human smoking results for all but 7% of the subject-days tested (5 ULH, 1 LTS, and 6 FF out of 370 total). Six of the 12 involved extrapolating by less than 0.1 mg of nicotine/cigarette and the maximum extrapolation was from 2.3 to 2.6 mg/cigarette. T + # indicates overtipping plus distance (mm); # P indicates number of puffs. Calibration equations were calculated using a linear regression of nicotine yield as a function of tip nicotine. These equations were then used to estimate human-smoked cigarette yield from the measured tip nicotine. This method was validated in a separate study using duplicated human puffing profiles (Shepperd et al. 2006). Aging tests by the study sponsor have shown that tip nicotine values were constant when whole filters were stored in glass jars at ambient temperature for up to 31 days. For this study, tips were cut from the whole filters within 5 days. One to nine tips per sample were extracted using either 20 or 40 ml of methanol containing 0.038 mg/ml decanol internal standard. Tips were extracted for 40 min using a flatbed orbital shaker at 200 rpm. All available tips were divided into at least three separate batches, which were extracted and analyzed on different days to average analytical variation. For samples from days 2, 4, and 5, extract absorbance at 310 nm was also measured to audit the nicotine analysis using an independent method. Absorbance gives a measure of the tar deposited on the filter (Sloan and Curran 1981; Shepperd et al. 2006) and we have found that absorbance per tip correlates linearly with nicotine per tip. For days 1 and 3, replicate vials of the extract were stored at −20°C and subsequently analyzed for nicotine to audit the nicotine analysis further. The root mean square difference between the nicotine replicates was 5.5 μg/ml (7.3%). A backup set of replicate vials was kept for use when outlying data points were identified by either of the auditing methods. Samples were retested when they were outside of the 95% confidence interval of the absorbance per tip vs nicotine per tip correlation (days 2, 4, and 5) or when nicotine replicates differed by more than 20% (days 1 and 3). The extract was analyzed for nicotine by gas chromatography using an Agilent 5890 Series II with a flame ionization detector and a J&W Scientific 30 m Megabore® 0.53 mm ID, DB-Wax (1.0 μm film) fused silica capillary column (Agilent, Palo Alto, CA, USA). The UV absorbance of the extract was measured using an Ocean Optics (Dunedin, FL, USA) PC2000 spectrometer equipped with a fiber optic dip probe with a 2-mm path length. This gave absorbance values within the linear range of less than 2 without further dilution. Absorbance was measured on the same day the tips were extracted because it was found that extract absorbance declines with even overnight storage. Measured urinary concentrations for each metabolite were multiplied by their respective daily urine volumes and converted based on molecular weights to yield recovery results in nicotine equivalents. The sum of the nicotine equivalents for nicotine, cotinine, and 3-HC were calculated for each subject per day to give total daily urinary nicotine equivalents (UNE) in milligrams per day. Nicotine yield per cigarette was calculated from the mean nicotine per tip values for each subject-day and the appropriate calibration equation for the brand smoked. This was multiplied by the number of cigarettes smoked by the subject that day to give nicotine yield in milligrams per day. This study design allowed us to achieve a wide range of nicotine exposure suitable for the correlation of the three methods of nicotine uptake estimation. Nicotine yield from the human-smoked cigarettes (mouth exposure) as measured by filter analysis ranged from 3.7 to 67.1 mg/day, UNE ranged from 3.1 to 48.4 mg/day, and saliva cotinine ranged from 70 to 866 ng/ml. The mean (SD) proportions of urinary metabolites, including the glucuronides, were 22% (9%) for nicotine, 35% (6%) for cotinine, and 43% (13%) for 3-HC of the total UNE measured. When expressed as a percentage of nicotine entering the mouth, the proportions were 19% (9%) for nicotine, 31% (11%) for cotinine, 39% (17%) for 3-HC, and 89% (25%) for total nicotine equivalents. Observed values from the three methodologies were correlated with each other. Figure 1 shows the three plots and correlations for all data points. Figure 1a is a graph of the UNE vs daily nicotine yield estimated from filter analysis; Fig. 1b shows UNE vs saliva cotinine; and Fig. 1c shows daily nicotine yield from filter analysis vs saliva cotinine. Linear regressions were significant for both the slope and intercept (p < 0.001) for all three correlations. The best correlation was obtained with UNE vs daily nicotine yield (Fig. 1a, R 2 = 0.66). The slope indicates that 67% of the variation in nicotine mouth exposure calculated from filter analysis appeared as variation in the six urinary compounds measured. The standard error of the regression (SER) was 4.9 mg nicotine/day. Saliva cotinine did not correlate as well with either UNE (Fig. 1b, R 2 = 0.49, SER = 5.9 mg/day) or nicotine yield (Fig. 1c, R 2 = 0.45, SER = 7.4 mg/day). Because the amount of nicotine entering the mouth was greater than the sum of the UNE, the standard error of the nicotine yield would be greater than that of the UNE due to scaling even if the correlations were equivalent. To allow an equal comparison, the standard error of the percent of the difference between calculated (using the regression equation) and measured values was calculated for the three correlations. The standard error calculated in this manner was 32 and 42% for UNE vs nicotine yield and saliva cotinine, respectively, and 41% for nicotine yield vs saliva cotinine. Summary statistics for all correlations are in Table 3. The means of the five daily data values per subject are shown in Fig. 2 using the same format as Fig. 1. Again, for all correlations, the slopes and intercepts were significant (p < 0.01). The correlation for UNE vs nicotine yield (Fig. 2a) improved significantly as shown in Table 3. The slope increased to 0.74 while the intercept moved closer to zero. The saliva cotinine correlations (Fig. 2b,c) also improved, but not as dramatically as the urinary nicotine. The correlation for UNE vs saliva cotinine (Fig. 2b) had an R 2 value of 0.55 with a standard error of 5.3 mg/day (36%). The correlation for nicotine yield vs saliva cotinine (Fig. 2c) had an R 2 value of 0.54 with a standard error of 6.5 mg/day (33%). Although the primary purpose of this study was to determine the statistical correlations between the three methods of estimating nicotine uptake, data collected during the experiment allowed for additional observations. Normalization by urinary creatinine is useful when only a single or partial daily urine collection is taken. To test the effect of creatinine normalization, observed daily UNE were divided by their respective millimole creatinine. A correlation was calculated with nicotine yield as the dependent variable and UNE/mmol creatinine as the independent variable. The results are summarized in Table 3. Both the intercept and slope are significant (p < 0.001) but normalization with creatinine clearly degrades the correlation compared to the correlation without normalization. The findings suggest that normalization with creatinine adds another factor of variability, which has a degrading effect on R 2, and therefore indicates that the use of 24-h urine samples without normalization is expected to provide more accurate results than the analysis of partial (<24 h) urine samples with normalization. This is in agreement with Heavner et al. (2006), who showed mechanistically that creatinine normalization may be appropriate for some, but not all, of the urinary metabolites of nicotine and that other methods of normalization may be more appropriate for spot urine samples. Because this was a confined clinical study, subjects would not necessarily be expected to behave as if they were in their normal environment. However, because a wide range of FTC cigarette yields were tested, it was considered worthwhile to test the correlation between the measured FTC yields and the three methods of nicotine estimation. Correlation results are summarized in Table 3 for the 5-day mean values for the three methods vs the FTC values on a per subject basis. All correlations gave significant slopes and intercepts (p < 0.001). The results for mouth exposure to nicotine (from filter analysis), UNE, saliva cotinine, and cigarettes smoked per day were grouped by tar band and the mean, standard deviation, and one-way analysis of variance (ANOVA) were calculated on a per subject basis (Altman and Bland 1997). The results are shown in Table 4. Group means increased in rank order with increasing group yield except for saliva cotinine and cigarettes smoked per day. All measurements except cigarettes smoked per day gave a significant (p < 0.05) effect of group by ANOVA. For each measurement, results with different letter assignments are significantly different at the 95% confidence level (Fisher test). Normalizing urinary nicotine metabolites with creatinine resulted in an increase in p value for effect of group and no significant differences between the FF, LTS, and ULH groups. All three groups were significantly higher than the ULL group. This again shows that creatinine normalization degrades the discriminating power. Mean ± SD for measurements grouped by tar band. Table 4 also shows the difference in self-reported and measured cigarette usage. Self-reported cigarette usage was questioned and compliance with respect to truthfulness can be a concern (Byrd et al. 1998). In this study, subjects were asked to estimate their cigarette usage as part of the recruiting process. This gave a basis to compare with the measured usage during the study (overall mean = 22 cigarettes/day, SD = 4.2, range 15.8 to 32.0). The mean value for the (5-day average− self-reported) usage per subject was −0.2 cigarettes/day (SD = 5.9, range −19.4 to +11.7). Even when broken down to the smaller tar band groups of 15 to 20 subjects, the mean difference in measured and reported usage was less than 2 cigarettes/day. Because the trial took place over five consecutive days, within-subject, day-to-day variation was calculated for each of the measured variables. In addition, on day 4, saliva samples were taken at approximately 0830, 1330, and 1830 hours for measurement of saliva cotinine to estimate within-day variation. Results are summarized in Table 5 and are expressed as a pooled (root-mean-squared) coefficient of variation. The pooled day-to-day variations for each variable were similar, ranging from 15.2% for cigarettes smoked per day to 18.1% for UNE per day. The within-day variation of 8.1% for saliva cotinine was approximately half the day-to-day variation of 15.7%. When a single factor ANOVA was calculated using saliva cotinine for the three time periods sampled on day 4, the variation between time periods was insignificant (p = 0.58). However, this could have been overwhelmed by the subject-to-subject variation in nicotine uptake. This factor was removed by dividing the individual measurement by the daily average per subject for all three time periods. A single factor ANOVA was significant for time of day (p < 0.001) with the mean (95% confidence interval) saliva cotinine values being 1.008 (0.015), 0.96 (0.012), and 1.03 (0.013) times the average daily value per subject for the 0830, 1330, and 1830 hour samples, respectively. Even though the time of day had a statistically significant effect, the practical differences were small. All three of the estimation methods correlated significantly with each other, but the best overall correlation was between the filter analysis method and UNE. The slopes for the correlations of UNE as a function of mouth exposure to nicotine were 0.67 and 0.74 for the individual and 5-day average regressions, respectively, implying that about 70% of the difference in the UNE measured in this study was due to a difference in mouth exposure to nicotine. However, the mean of the total UNE expressed as a percentage of the nicotine entering the mouth was 89%. The mean value falls within the reported range of 80% (Benowitz et al. 1994) to 90% (Curvall et al. 1991) but the slopes fall below this range. The difference between the two methods is due to the significant intercept calculated using the linear regression. The intercept using the 5-day average results was lower than the intercept using the individual results and the slope was greater. The intercept could represent compartmental nicotine and/or metabolite storage with subsequent carryover from storage before entering the study. This influence should diminish with a 5-day average compared to using single day results. An example of this is demonstrated in Fig. 1a where there is a single circled data point that appears to be an outlier. Urinary output of nicotine equivalents was approximately two times the mouth exposure of nicotine for that day. However, this was a day 1 measurement for a single subject. For subsequent days, the data points for this subject are buried within all the other data points. One possibility is that the subject had a much larger exposure to nicotine before participating in the study and the unusually high urinary output was due to clearance of the prior exposure. Averaging the results over 5 days would take out much of the metabolic influence and result in a much better correlation as demonstrated with these results. For the saliva cotinine correlations, the R 2 values only improved slightly with averaging. Part of the reason for the improvement with all correlations can be attributed to averaging out measurement variation. This should be similar for all correlations. However, the additional improvement in the filter vs urine correlation can be explained by metabolism. Nicotine has a relatively short serum elimination half-life of 2.2–2.9 h (Scherer et al. 1988; Benowitz and Jacob 1993; Benowitz et al. 1999, 2002, 2004), which means that the urinary nicotine should be from the nicotine taken in that day. Cotinine has a serum elimination half-life typically reported at 16–18 h (Scherer et al. 1988; Benowitz et al. 1999, 2002, 2004; De Schepper et al. 1987) and a similar urine elimination half-life (Benowitz and Jacob 1993; De Schepper et al. 1987). 3-HC, which is downstream metabolically from cotinine, has a serum elimination half-life of 5.9–6.6 h with a similar urine elimination half-life (Scherer et al. 1988; Benowitz and Jacob 2001). Given the pharmacokinetic information, these urinary metabolites must have originated from nicotine exposure on multiple days as has been demonstrated directly using nicotine infusion (Scherer et al. 1988). where (N), (N-1), and (N-2) equals the nicotine exposure for the current day, 1 day before, and 2 days before the urine or saliva sample, respectively. Metabolite measurements from days 3, 4, and 5 were used. None of the coefficients for nicotine exposure from 2 days before the urine collection were significant (p > 0.15). For saliva cotinine, the coefficient for 2 days before was not significant at the 95% confidence but the p value of 0.07 was small enough to warrant consideration. Given this, the regressions were recalculated using (N) and (N-1) and including the urinary metabolite measurements from day 2 as well. The results of this regression are shown in Table 6. For the sum of all urinary metabolites, the coefficients were significant for the current day and prior day’s exposure. This implies that the total urinary metabolites originated from nicotine exposure over 2 days. The only coefficient that was significant for the urinary nicotine regression was for the current day’s exposure as would be expected. The coefficient of 0.16 implies that 16% of the nicotine entering the mouth appeared as urinary nicotine plus the glucuronide. This agrees closely with the estimates of 13.8% (Benowitz et al. 1994) and 10–15% (Curvall et al. 1991). For the urinary cotinine regression, coefficients for the current day and previous day were significant with the current day being about twice that of the previous day. The two coefficients imply that 26% of the nicotine entering the mouth appears as urinary cotinine plus the glucuronide. This also agrees closely with estimates of 25.6% (Benowitz et al. 1994) and 20–25% (Curvall et al. 1991). For the 3-HC regression, the coefficients for the current day and previous day were significant with the current day being slightly smaller than the previous day. The sum of the coefficients (0.28) was smaller than the reported 41 to 60% of the total urinary metabolites (Benowitz et al. 1994; Curvall et al. 1991). It is possible that because 3-HC is the third step in the metabolism of nicotine, there was too much of a smoothing effect for the change in daily mouth exposure to fully capture. For saliva cotinine, all coefficients were significant, suggesting that saliva cotinine results are an amalgam of at least 2 days of nicotine exposure. Saliva cotinine correlations suffer because results are expressed as concentration rather than an absolute value, and as such can be influenced by body size. In addition, other variables come into play that are not easily explained. An example of this is shown in Figs. 1 and 2 by the data points with boxes around them. These were from one subject that appeared to have unusually low saliva cotinine values for both UNE (Figs. 1b and 2b) and mouth exposure of nicotine (Figs. 1c and 2c). This subject had the highest mouth exposure of nicotine of all the subjects studied, yet the saliva cotinine values were only slightly above midrange. There was nothing unusual about this subject and average urinary output was within 1 SD (1,100 ml) of the average for all subjects (2,400 ml). It is unlikely that nicotine yields were overestimated because Fig. 1a shows that the data points are scattered about the regression line for UNE vs nicotine yield. It is also unlikely that the saliva cotinine concentrations were in error because the saliva cotinine for each day was analyzed in separate batches along with other samples. The subject did not rapidly metabolize cotinine to 3-HC because cotinine accounted for 47% of the urinary metabolites measured for this subject compared to an average of 35% for all subjects indicating the converse. Therefore, it must be concluded that this is an anomaly characteristic of this individual. As shown in Table 3, with many of the estimation methods, the correlations are only slightly better than simply correlating with FTC nicotine yield of the cigarette. The average nicotine mouth exposure, as measured by the filter method, correlated with the FTC nicotine yield with a standard error of 38% and an R 2 value of 0.41. The correlation of nicotine mouth exposure with saliva cotinine gave a standard error of 33% and creatinine-normalized urinary metabolites gave a standard error of 32% with R 2 values approximately 0.1 higher. Correlations of FTC nicotine with biomarkers in this study were stronger than that reported in other studies (Byrd et al. 1998; Jarvis et al. 2001; Ueda et al. 2002; Hecht et al. 2005; Bernert et al. 2005). We believe that there are valid reasons for this. One is that the correlations were performed using the 5-day averages per subject instead of a single sample per subject. In addition, exact compliance to brand and cigarette consumption was assured in the current study, whereas all but one (Bernert et al. 2005) of the referenced studies used self-reported brand identification and cigarette consumption. Self-reported brand information was reported to have about a 25% error rate when compared with packs returned (Peach et al. 1986) or in a test–retest comparison (Eisenhower et al. 1993). This and the potential for use of alternate brands during a study can further confound a correlation with biomarkers. Other confounding factors are the use of creatinine normalized spot urine samples instead of 24-h urine samples and analyzing for a subset of the nicotine metabolites used in the current study. Simple creatinine normalization is only biologically valid for xenobiotics that have the same excretion mechanism and urinary flow rate dependence as creatinine. Heavner et al. 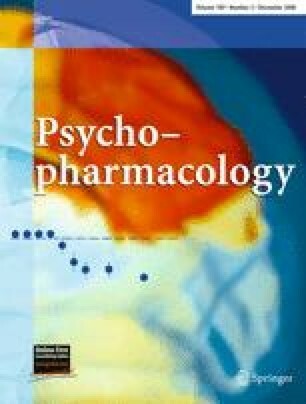 (2006) have shown that 1-HC (free and glucuronide) and cotinine glucuronide have urinary flow rate dependence similar to creatinine while nicotine (free and glucuronide), free cotinine, 1-hydroxypyrene, and the free and glucuronide forms of 4-(methylnitrosamino)-1-(3-pyridyl)-1-butanol do not. In conclusion, two methods stand out as superior. One is the filter method, which estimates mouth level exposure directly on a per cigarette basis. Filter collection need not be quantitative, the filter returned can be compared to the brand it is supposed to be and it can be readily determined if it was smoked or not. Thus, brand compliance and smoking status can be assured even if the subject happened to occasionally use a different brand or other form of nicotine during the study. With self-reported daily cigarette use from groups of at least 15–20 subjects, the exposure per cigarette can be converted accurately to daily exposure. In addition, mouth exposure to tar can also be estimated using the filter method (Shepperd et al. 2006). The other measurement, which is considered by many to be the “gold standard,” is the measurement of urinary nicotine and metabolites from 24-h urine samples without creatinine normalization. This method appears to reflect the mean daily nicotine uptake of the last 2 days. This study was funded by British American Tobacco and Brown & Williamson Tobacco before the latter’s merger with RJ Reynolds Tobacco. Preparation of the manuscript was funded by British American Tobacco. Special thanks to Dr. M. Ogden for his helpful comments. The authors would also like to thank the reviewers of this manuscript for their time and thoughtful consideration and comments. These experiments comply with the laws of the United States of America.